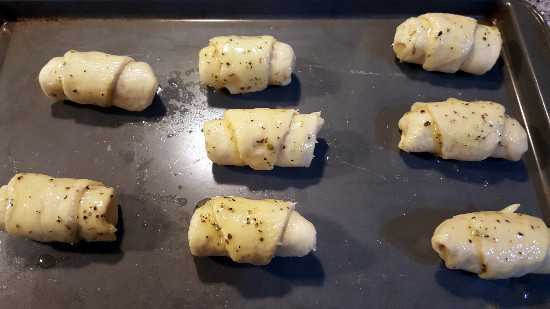 These cheese stuffed crescent rolls go Great with pasta dishes! 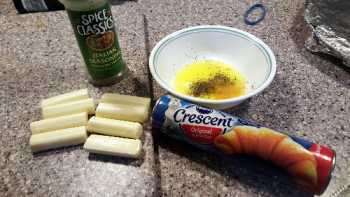 Makes 8 per can of crescent rolls. If you need to make more than 8, adjust amounts below per 8 servings. Preheat oven to 375 degrees. 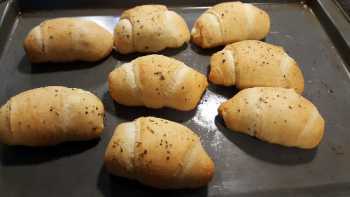 Crescent roll directions say 350, but heat to 375 due to the cheese stuffing. 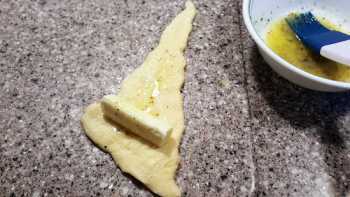 Unroll crescent rolls and separate into triangles. 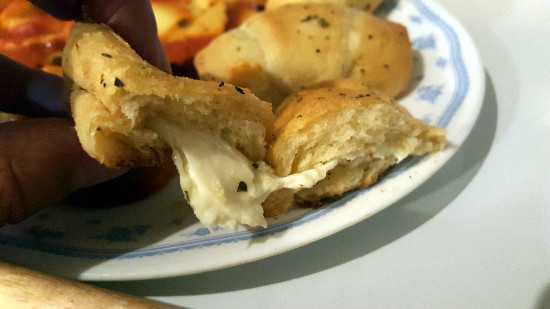 Brush with garlic butter, reserving some to brush on tops of assembled rolls. 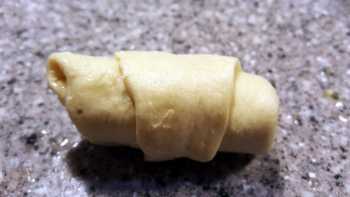 Place halved string cheese at widest end, and roll up. Brush tops with more garlic butter. Bake for 10 - 14 minutes, or until lightly browned. Serve warm and Enjoy! 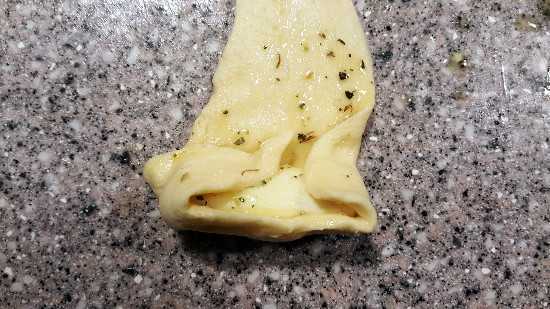 We served ours with 4 cheese and spinach ravioli's and they were a perfect compliment.